Karen combines three roles as librarian, musicologist & educationalist. She has curated music materials at RCS since 1988, initially as Music and Academic Services Librarian and since 2017 as Performing Arts Librarian. She is a Fellow of the Chartered Institute of Library and Information Professionals. Karen's PhD is in Music, from the University of Glasgow (2009). Her book, Our Ancient National Airs: Scottish Song Collecting from the Enlightenment to the Romantic Era, was published by Ashgate in 2013. From October 2012-15, she was seconded as part-time postdoctoral researcher to the Bass Culture project looking at accompaniments in Scottish fiddle music, an AHRC-funded project spearheaded by Glasgow University. Between October 2015-April 2016, Karen was awarded an Athenaeum Award by the Royal Conservatoire of Scotland, enabling her to commence part-time research into the Stationers’ Hall music collection at the University of St Andrews, and her research role has since been extended until September 2019. 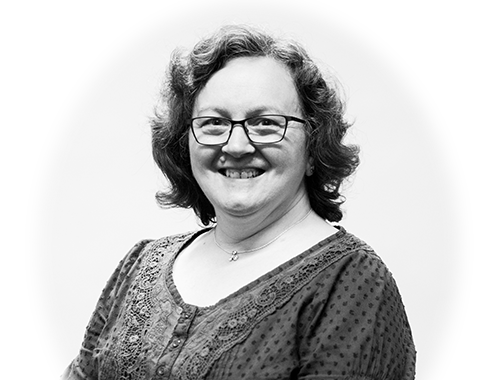 Karen has co-organised Musica Scotica conferences; and is a keen advocate of networking in connection with research and career opportunities; she can be found on Twitter as @karenmca. Karen's research interest has always been in the transmission of repertoires, in various musicological subjects - plainsong and mediaeval polyphony, 18th-19th century Scottish song collecting, historic Scottish dance music publications and now early legal deposit music in British libraries. At the University of St Andrews' research library facility in Martyrs' Kirk, Karen has explored the decisions the University professors took with regard to the copyright music, and the way it was subsequently used by professors, their families and friends. Key findings identify what was most popular, who used it most, and who catalogued it. The 'Claimed from Stationers' Hall' network commenced in August 2017. Karen is also on the steering groups of two recently-founded research networks based at the University of Glasgow, EAERN (Eighteenth-Century Arts Education Research Network) and Romantic National Song Network. Blogpost: Have you met your original objectives? McAulay, K. 7 Dec 2018 Information Professional, 2018, Nov/Dec, p. 50-51 2 p.
McAulay, K. & Robertson-Kirkland, B. E. Nov 2018 In : Trafalgar Chronicle. New Series 3, p. 202 212 p.